but must be experienced,” he advised Powell. The latter, taking his words to heart, did exactly that and almost 30 years later he launches his book ‘The New Sri Lankan House’ with David Robson and Sebastian Posingis. The book is the culmination of over two years of travel, research and editing for Powell, who developed a fascination for the country’s architectural heritage in the 80’s. Powell was an Associate Professor of Architecture at the National University of Singapore for over a decade and has already published several books on Asian architecture, including ‘The Asian House’, ‘The New Singapore House’ and ‘The New Malaysian House’. 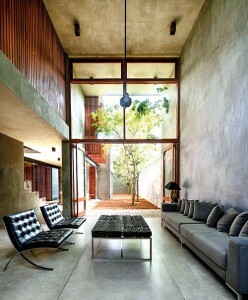 His fascination with tropical Asian architecture in particular is born of an interest in how these houses blend in with their surroundings, often incorporating the lay of the land into their design. 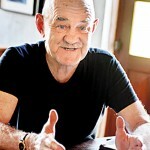 “In Singapore the pace of life is very fast,” he shares. “In that rush the past is erased. Here there is a special sensitivity with the land, and a connection with the past. I think there’s much to be said and enjoyed about that.” Powell comments in particular on the design ethics of several architects he has featured in this book-“they include the trees in their layout, and account for every one of them. I think that’s remarkable.” Architect Amila De Mel’s house in Mirihana, for example, embraces its suburban wilderness with alacrity, with creepers, plants and trees weaving in and out of the home. “There was a remarkable sensitivity and link to the land in Bawa’s work,” he notes. “But with this book we’re highlighting the newer, younger generation of architects who are making their own way.” The 26 houses are featured in an impressive hardback tome, with 21 architects represented-most of whom are ‘home-grown’ as the author points out. 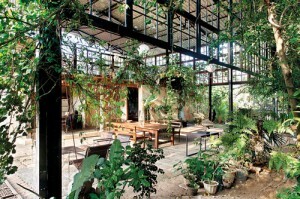 Powell, together with Robson-somewhat of an authority on Lankan architecture including Bawa’s work in particular-has chosen to leave Bawa out of the official list of 26, although of course a section is devoted to his style and influence. On the official list you’ll see some of Bawa’s best-known disciples, including C. Anjalendran, Channa Daswatte and Vinod Jayasinghe along with senior architects such as Vijitha Basnayake and Madhura Prematilleke. Others on the list include several shortlisted architects from the 2013/14 cycle of the Bawa Awards, including winner Pradeep Kodikara. Internationally recognised architects such as Tadao Ando alongside Kerry Hill and Shigeru Ban complete the list. The book is dominated by beautiful images taken by Sebastian Posingis, one of the Three Blind Men photographers whose work has appeared in Vanity Fair, Conde Nast Traveller, Washington Post and the Wall Street Journal. The trio would visit each house, often spending the night-“many of the owners were incredibly generous,” smiles Powell-and while Posingis captured his images, Robson and Powell would painstakingly note details, capturing each house’s vibe to preserve through their work. The result is a book that is both visually striking and informative. houses met these criteria “in one way or another,” we’re told. “We plotted a route through the West Coast,” Powell remembers, describing how locations could vary from places like Moratuwa and Battaramulla to Mawanella, Tangalle and Digana. Powell relied on his Lankan contacts, and institutions such as the Sri Lanka Institute of Architects and the Bawa Trust to find them. 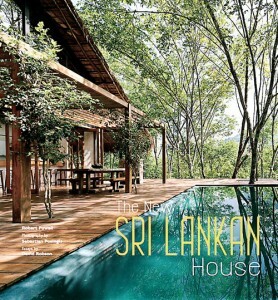 ‘The New Sri Lankan House’ by Robert Powell, with photos by Sebastian Posingis and essays by David Robson is available at the Barefoot Bookshop in Bambalapitiya. 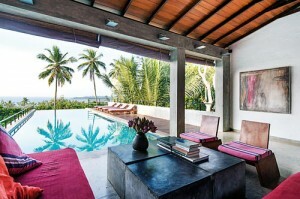 Are we all waiting until Unawatuna bay is washed away?